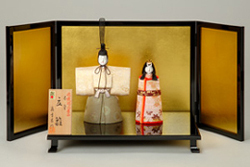 This is simple and classical standing hina dolls. 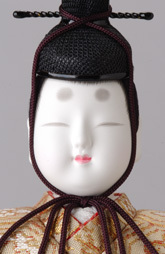 Mataro worked goldthread into the costume and added legs under the board, which give premium accents. 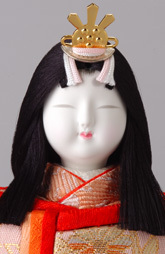 This Set is popular for the second hina dolls set.